Kentucky bluegrass is the most widely used cool-season species and the all-around best choice for a general-purpose lawn. Photo by Dr. Van Cline, Agronomist, The Toro Company. 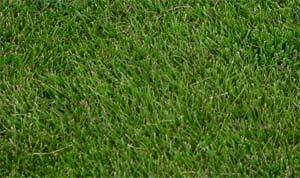 For a deep green, fine-textured, attractive lawn, choose Kentucky bluegrass. Bluegrass is able to withstand moisture and temperature extremes, is winter hardy, and will grow in full sun to light shade depending on cultivar and location. Sown by seed and spread by rhizomes and tillers, it forms strong, dense sod that recovers well from injury. 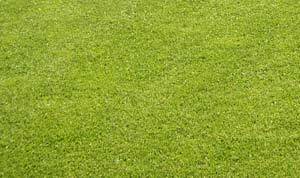 Maintenance requirements for Kentucky bluegrass vary. Older common cultivars require less water, nutrients, and care, but are highly susceptible to leaf spot and other diseases. Newer, more maintenance-intensive cultivars grow aggressively, crowding out weeds, and showing increased resistance to pests and diseases. Drawbacks: Slow to germinate, performs poorly in wet soils and shade, and it goes dormant, losing color during prolonged hot, dry weather. Recommendations: For USDA Hardiness Zones 2 to 7. When planting a bluegrass lawn, blend at least three varieties to take advantage of differing disease and pest resistances. Look for improved bluegrasses such as Everglade, Midnight, Nu-Glade, Starburst, and Bewitched. Everest, Excursion and Midnight can tolerate traffic well. Everest, Bar VV, and Midnight are tolerant of heat and drought. With more than 100 cultivars to choose from, consult a local nursery or your local Cooperative Extension System (CES) to find the best choices for your locale. 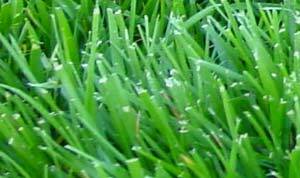 Rough-stalked bluegrass likes moist, shady conditions and becomes patchy in sunny areas. Photo by Dr. Van Cline, Agronomist, The Toro Company. This moderately fine-textured, light-to-medium green grass spreads by weak stolons. New seedlings are vigorous, tolerating acidic soils as well as poorly drained, moist, and shaded sites. Rough-stalked bluegrass tolerates low temperatures and keeps its color well into the fall. It is best in low-traffic areas. Drawbacks: With shallow roots, rough-stalked bluegrass cannot tolerate hot, dry conditions. Recommendations: For USDA Hardiness Zones 4 to 7. Plant in moist shade. Look for Sabre II, Cypress, and Stardust. In the north and transitional zones, Tall fescue is a good choice for sunny lawns and playgrounds. Photo by Dr. Van Cline, Agronomist, The Toro Company. Tall fescue is durable utility grass with a deep root system that enables it to tolerate drought and heat, Tall fescue is a durable utility grass. 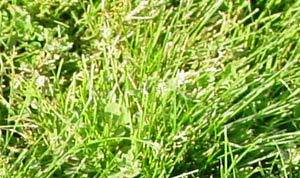 The older, wide-bladed forage types are no longer a good choice for lawns. Choose improved Tall fescues known as “turf-type.” These denser, finer-leaved, darker turf-types are more resistant to diseases and insects. Drawbacks: In northern regions and areas of shade, Tall fescues are prone to thin out and form clumps, which requires overseeding. A bunchgrass with minimal rhizomes, Tall fescue makes a fairly weak sod, and is slow to recover from injury. Recommendations: For USDA Hardiness Zones 2 to 7. According to the National Turfgrass Evaluation Program (NTEP) rankings, use stress-resistant types, such as Cayenne, 2nd Millennium, and Rebel Exeda. Fine fescues are ideal for shaded, low-maintenance lawns and mix well with bluegrasses and Perennial ryegrass. Photo by Dr. Van Cline, Agronomist, The Toro Company. While genetically different, species in this genus—Chewings, Creeping Red, and Hard fescue—share some similar characteristics, and except for Creeping Red fescue, which has rhizomes, fescues are bunchgrasses. All species in this genus create fine textured, dense, upright, good-looking, dark green turf, and mix well with bluegrasses and Perennial rye. All also grow well in acidic soils and shade. The most drought and shade tolerant of the cool-season grasses, these three do not require much fertilizer. Many fescues are also endophyte-enhanced, and when added to other grasses, increase both their disease and pest resistance. Drawbacks: Fine fescues need well-drained soil and do not stand up well to heat or heavy wear. Recommendations: For USDA Hardiness Zones 2 to 7. You will usually find Fine fescues in shade mixtures. Consider Ambassador, Audubon, 7 Seas, and Berkshire. According to the NTEP rankings, dollar spot-resistant cultivars include Cardinal, Epic, Garnet, Pathfinder, and Ambassador. Perennial ryegrass germinates rapidly, wears well, and is often found in seed mixtures. Photo by Dr. Van Cline, Agronomist, The Toro Company. A bright green bunchgrass with a fine to medium texture, perennial ryegrass grows well in a wide range of soils, including wet soils. Perennial ryegrass with improved low-growth turf, finer, denser, and darker green leaves are replacing older varieties. Many of the new cultivars are also endophyte-enhanced, for improved disease- and pest-resistance. 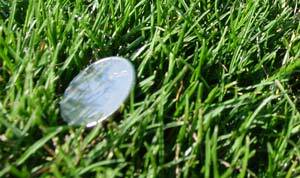 Ryegrasses withstand foot traffic and compacted soils. Since they grow quickly from seed, they make excellent nurse grasses, protecting slower-growing species, and are good for overseeding warm-season lawns. They do best in coastal regions with mild winters and cool, moist summers. Drawbacks: Perennial ryegrasses, especially older varieties, have a low tolerance for drought and cold and are prone to pythium blight. Works best in mixtures but should not make up more than 20 percent because of vigorous growth. Recommendations: For USDA Hardiness Zones to 7. Look for highly ranked NTEP cultivars such as Saturn II, Manhattan 3, Blackhawk, and SR 4200.